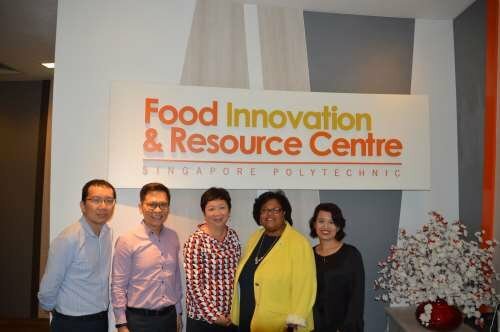 The US Dairy Export Council (USDEC) and the Food Innovation and Resource Centre (FIRC) at Singapore Polytechnic signed a partnership agreement in May 2018 that furthers US dairy’s commitment to food innovation to meet the needs of Southeast Asian customers and consumers. Valued at US$690 million, Southeast Asia is the second largest market for US dairy exports globally and the largest outside of North America. The agreement helps to address the region’s double burden of malnutrition, where dairy can support nutritional solutions for better health and wellness outcomes. The growing US dairy product portfolio stems from investments in research and innovation all along the dedicated supply chain—from farm families to milk processors to cheese and ingredient manufacturers. The country’s commitment to delivering a sustainably produced milk supply can satisfy the region’s growing appetite for dairy. USDEC has staffed an office in Southeast Asia for 20 years, and currently about 24 US suppliers have personnel based in Singapore or Southeast Asia. “This partnership allows US dairy suppliers to be at the forefront of the product development process, become more customer-centric and enhance their level of service,” says Martin Teo, technical director, food applications, with USDEC’s Singapore office. USDEC’s 2018 activities focus on demonstrating how the US’ sustainably produced lineup of dairy protein, milk powder, specialty ingredients and cheese fit the taste preferences and nutritional requirements of the region. • Health and wellness focused: A permeate workshop at the FIRC facilities, the US presence at Food Ingredients Vietnam, US Dairy Innovation Seminars in Vietnam and Singapore, a technical training mission to the United States for Southeast Asian food research and development specialists (in conjunction with the 2018 Institute of Food Technologists Expo), and participation in the Food Ingredients Asia show provide further opportunities for US suppliers and Southeast Asian buyers to work together, build relationships and explore the benefits of US dairy ingredients. • Culinary focused: USDEC hosted cheese receptions, showcases and chef events as this year’s official dairy partner for Singapore’s World Gourmet Summit and at Food and Hotel Asia. A cheese innovation seminar is on tap for August. These and additional events seek to promote awareness and heritage in US cheese, and demonstrate how US cheese varieties, quality, value and innovation can meet the needs of the Southeast Asian foodservice sector.